The Nexus brand of smartphones and tablets have been growing in popularity as not only do you have great hardware on offer, you also get Android as it is supposed to be with regular early updates of the operating system. 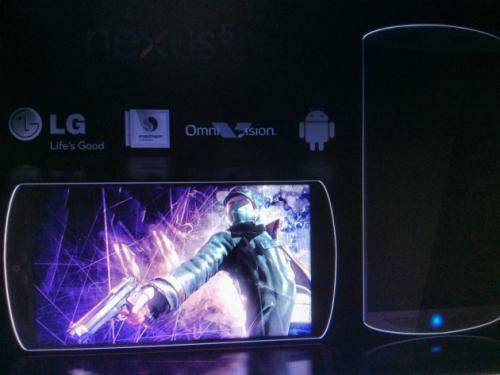 Now thoughts have been turning to new hardware and LG Nexus 5 specs and release are being tipped with an image in tow. Earlier this month we heard talk that the Nexus 5 could have the involvement of LG again, and now an insider who claims to work for Google has provided Android and Me with the image that you can see on this page, along with specifications that are of the Nexus 5. It is being claimed the device will be released sometime in October and the company is currently looking at a few prototypes from a number of companies with one being from LG. The device has the codename of Megalodon and the specs include a 5.2-inch OLED Full HD display with a Qualcomm Snapdragon 800 processor clocked at 2.3GHZ coupled with 3GB of RAM. There is also supposedly a 16-megapixel rear facing camera with a 2.1-megapixel front facing unit, 3,300 mAh battery, and software features include gesture controls for things such as zoom and navigation. Storage wise there are allegedly three options starting at 16GB going up to 64GB. While some of these specifications may seem farfetched when compared with other new smartphones being released now, many of them are expected to be available during the latter stages of this year, and while this could just be an elaborate hoax, there could be some truth in it. Do you hope these specs appear in the Nexus 5? I fu++ing love my nexus 4 !